Mountain Land Physical Therapy of Park City provides comprehensive physical therapy and rehabilitation services to Park City, Utah and the surrounding communities including Summit Park, Jeremy Ranch, Wanship, Coalville, Kamas and Oakley. Conveniently located in the Newpark area of Kimball Junction, our Park City clinic is all new with state-of-the-art equipment to help get you back to doing the things you love! David joined the Mountain Land team after graduating from Loma Linda University with his Doctor of Physical Therapy in 2012. His love for playing sports and interest in fitness and the musculoskeletal system lead him to pursue his career as a physical therapist. 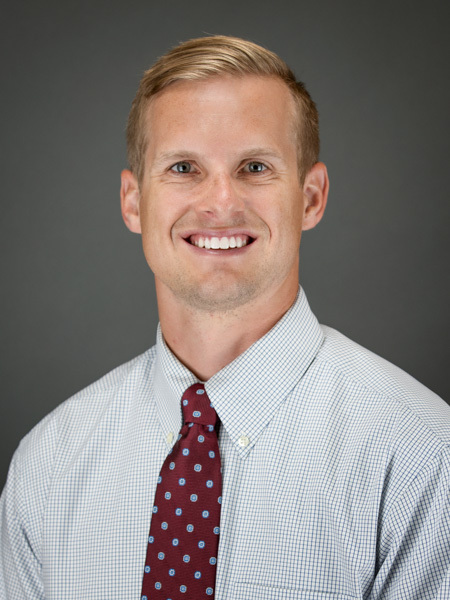 David specializes in treating orthopedic injuries and sports medicine. He takes a hands-on approach with a customized treatment plan for each patient to help them get back to doing the things they love. Originally from Mansfield, Ohio, David now lives in Park City with his family. David enjoys playing sports, especially basketball, and golf. He and his wife also enjoy skiing, wakeboarding, mountain biking and spending time outdoors.